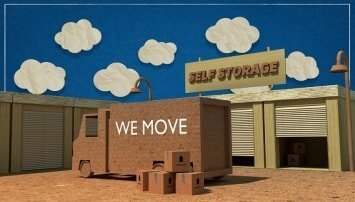 When it comes to your self storage in UAE; The Home Storage Dubai is the most reliable and perfect solution for your commercial storage. 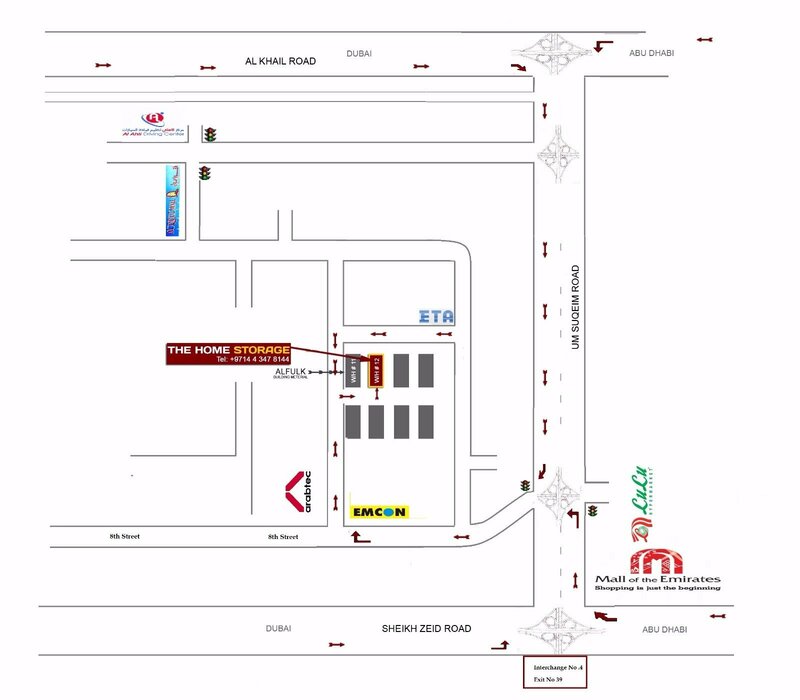 The Home Storage Dubai offer a specialized service for business and commercial storage. If you are moving an office with two or three people or a complete office Block with a hundred plus employees, we have the resources to facilitate your every need. Each commercial storage we undertake is different, and our experienced professionals are able to work with you in planning and conducting your storage. This will help to minimize any disruption in the running of your business. The Home Storage Dubai providing professional storage services to UAE organizations storage for offices, factories, libraries, and even hospitals. The Home Storage Dubai is committed to providing perfect level of service for commercial and office storage, and as a member we must maintain a high standard of service and comply with strict codes of conduct. Our commercial storage team will arrange a crate hire for you to transport your files and IT equipment. If you want an internal storage, our team can provide porters and furniture fitters to your company, to reorganize your offices. We can provide anything from a single porter on rate per hour, from a large team for a complete picture of internal move. So if you require a professional storage& removal services, remember to call the The Home Storage Dubai today! We are a well established, professional company offering a splendid standard of service to each of our clients. Our staff is experienced storage experts who are punctual and reliable. Our cost-effective price is competitive and no job is too large or small for our expert team. Welcome to The Home Storage Dubai providing wide range of storage we are ready to help you make the most of your storage experience. Is underutilized furniture occupying unnecessary space in your home or office? Do you need some spare place to keep your furniture safe during a hectic move, while you’re away or until more staff join your business! Stop by or give us a call today to find out how we can help you. The Home Storage Dubai offer secure and affordable furniture storage solutions to suit your needs. We have more furniture storage centers in all over UAE than any other moving and storage company and our storage facilities are dust and vermin proof. The Home Storage Dubai is the largest provider of professional home storage services in Dubai, providing safe and secure furniture storage for thousands of households throughout the state. In the life of Expats in Dubai, Storage has an increasingly important role to play. It can mean the difference between keeping and losing our customer. Placing your furniture and goods into storage, our friendly expertise are available at even the shortest of notice and for as long as necessary, allows you total flexibility. It will make you to move out on time and let your buyers move in and preserve the chain. We treat our customers as family not a client, and have strict policy to ensure that their appointed representatives be the only people with access to their storage services rental. In other words, our site is equipped with 24-hour CCTV scrutiny and instant response alarms. Our up and running staff receives complete in-house training and is ranked correspondingly to potentiality, qualifications, and achievements. This means you’re going to get the top finest in professional assistance and personal care! The Home Storage Dubai operates a substantial supple of furniture channel, providing versatility and reliability to exceed your requirements. Our reliable service ensures pick-up and delivery when you need it. Every business has unique needs. That’s why we offer solutions regarding your requirements for your business needs. The Home Storage Dubai is the perfect solution for your office, business storage. Here at The Home Storage Dubai, we know that finding the right storage solution for you can be strenuous. We pride ourselves on giving you with storage rooms that are clean, dry, and secure and accomplish exactly to your needs. The Home Storage Dubai has one of the largest UAE’s storage solutions where you can find various number of storage rooms to match your requirements. Be sure that the company you choose is insured, because a company doesn’t ensure you 100% safety for the items stored. For many businesses; moving from one place to another can be very challenging. At The Home Storage Dubai, you goods are protected by the best alarm systems .The area encircling the warehouse is covered by a reputable security company. Just one click to our website to find the company you are after or the quickest way to The Home Storage Dubai storage costs from multiple storage facilities in your location.